They’ve failed to finish new facilities for Borey-class SSBNs on Kamchatka expeditiously, and they’ve forced Defense Minister Sergey Shoygu to demand “strict control” over their work. But who “they” are isn’t exactly clear. Mil.ru reported that the Defense Minister was also dissatisfied with the quality of the construction he observed. Shoygu laid responsibility on General Staff Chief, Army General Valeriy Gerasimov and Eastern MD Commander, General-Colonel Sergey Surovikin, ordering them to take the work at Rybachiy under “strict control” and to give him a weekly progress report. 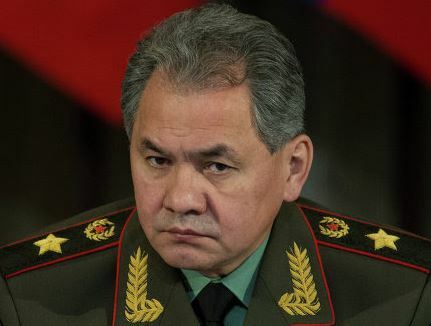 Shoygu should have turned to his old friend and subordinate from MChS days, Aleksandr Volosov, who directs the Federal Agency for Special Construction (Spetsstroy). Spetsstroy is building the new pier zone at Rybachiy. It used to be known as the Main Directorate for Special Construction (GUSS) in the old days when it fell squarely under the MOD. The current Defense Minister’s not the first to ask when his sub base will be ready. In 2012, President Vladimir Putin revealed that he arranged significant financial assistance from two Russian oil companies to keep the Pacific Fleet strategic sub base open in 2002. He visited periodically to check progress in modernizing its naval and social facilities. He was usually unhappy with what he found. By 2007, according to Izvestiya, he saw some improvement, but still said officials were “just picking their noses” instead of getting Gazprom to gasify Kamchatka. Army General Anatoliy Grebenyuk, chief of the MOD’s billeting and construction service, and the chief of the Main Military-Medical Directorate were unceremoniously retired for failing to finish their respective work on the remote peninsula. 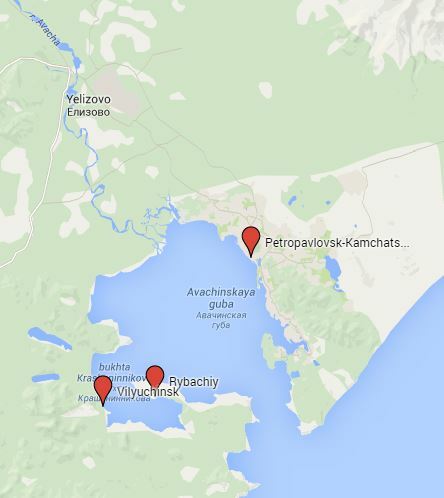 Gazprom reports that Petropavlovsk-Kamchatskiy was gasified in 2010, but it’s unknown if local gas lines have, as yet, reached the sub base. As it has long planned, Moscow intends to homeport four Borey-class SSBNs on Kamchatka, starting with Aleksandr Nevskiy and Vladimir Monomakh. But first it wants a fully functioning system in place to support their operations. In March, a Navy Main Staff source told ITAR-TASS that the complete system for basing the new submarines – piers, utilities, logistical support, weapons storage facilities, and other infrastructure – still needs to be finished. Consequently, neither SSBN will arrive in the Pacific Fleet earlier than the fall of 2015. This entry was posted in Naval Modernization, Shoygu's Reforms, Strategic Forces Modernization and tagged Avachinskaya Guba, Borey-class, Kamchatka, Rybachiy, Vilyuchinsk. Bookmark the permalink.